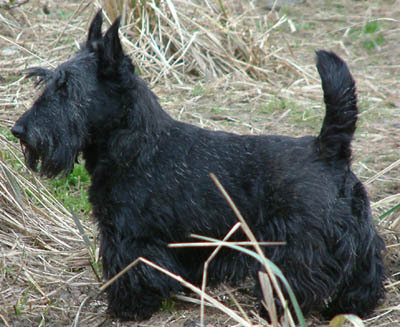 Answer "Does scottish terrier require any specific treatment?" This "Does scottish terrier require any specific treatment?" answer for dog breed Scottish Terrier was viewed by 655 visitors. Yes! Scottish terriers should be combed out regularly. Their hair also should be cut at least 4-6 times per year. It is not recommended to bathe your Scottish terrier regularly, despite the fact that its hair dries very fast. 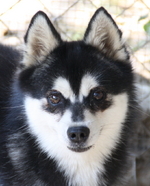 Exhibition dog's hair is also recommended to be plucked: long or dead hairs are removed. Home dogs would be better to simply get their hair cut because trimming requires a lot of time and funds. Regular procedures, such as teeth cleaning, claw cutting, and perianal gland cleaning are the operations that can easily be performed at home. It is also easy to cut the hair of your dog if you don't want to pay for trimming. Care about your dog's hair is also about fleas. You should massively fight the fleas, because these dogs are very vulnerable for them. Scottish terrier can "eat" itself trying to kill a parasite. Answer for dog breed "Scottish Terrier"
RU: Нужен ли скотч-терьеру специальный уход?